Welcome Freddie to the team! The days are getting longer, the clocks have gone forward and on April 1st I embarked upon my new role at Bis Recruit. It is now Friday afternoon and the week has flown by. The whole team here have made me so welcome and I am overwhelmed with the reception. I quickly understood how close the team is and the levels of respect and dedication that they all have for each other. Not wanting to ruffle any feathers, I arrived with the intent of being a wall flower, until my usually vocal self, found the appropriate legs to stand on. This did not go as planned…I felt so comfortable in an instant and was able to be myself. I have friends who have been at their jobs for years and are still not able to be themselves with co-workers. So, I knew that this was the place for me. After going through the registration and interview process myself with Bis, I knew that this was no ordinary agency. The level of professionalism whilst also being personable and approachable was obvious from the outset. This meant that being offered a position was a huge opportunity for me and an offer that could not be missed. Now that it has been a week, I can say happily that I have so much to learn, but I am in the best place to do it. 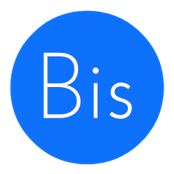 The experience that the team at Bis have is second to none. Whilst looking to build my career in corporate recruitment, I could never have imagined that I would find myself in such a fortunate position. As you can probably tell I am chuffed to be here and to help develop a corporate desk at Bis, whilst facilitating the great work that is ongoing.